Emergency Dentists USA has you covered when you have a sudden dental emergency. Our easy-to-use listings include features like office hours, driving directions, and a selection of procedures that can be found at each clinic. Waiting even a few days for a dental appointment when you have a terrible abscess or a severe toothache can cause you more pain and misery. Emergency Dentists USA provides you with kind and caring dentists who can cater to your emergency right now. Choose our 24-hour hotline to be connected with a live operator who can assist you in finding a great emergency dentist in Lincoln, and can even help you set up an appointment for your dental procedure. Emergency Dentists USA helped so much when I was in severe pain. They found a clinic, Pine Ridge Dental, for me which was close to my house and they even helped me get an appointment that day. The staff is wonderful! Finding a caring and competent 24-hour emergency dentist in Lincoln, Nebraska does not have to be a hassle. Emergency Dentists USA has an emergency dentist for any type of dental problem that may affect you. It’s easy to find an emergency dental clinic in Lincoln when you know what to look for. Walk-in dental clinics like SouthPointe Dental provide appointments for anyone with a dental problem who just cannot wait to see an expert dentist. SouthPointe Dental also offers Saturday appointments. Also, there are after hours dental clinics like Pine Ridge Dental which provides evening appointments until 8 p.m. Monday through Thursday, early morning appointments on Friday, and Saturday appointments until noon. Emergency 24-Hour Dental Clinics are another option, however, they are not available in Lincoln, but there are plenty of excellent hospital emergency rooms standing by to treat your dental problem. The Emergency Dentists USA website offers a comprehensive listing of Lincoln emergency dentists at your fingertips when you have a dental emergency. Simply scroll down to choose the right dentist in Lincoln, and make an appointment. Description Call to be connected with the perfect dentist for you. Lincoln is a large city and we have the connections to find a dentist to fit your needs, and can get you an appointment immediately. 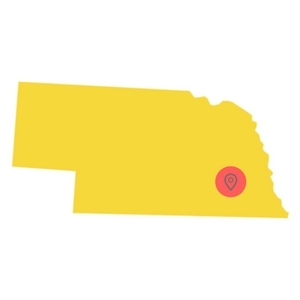 Find Nebraska 24 hour dentists today. Description: The caring and competent staff at Pine Ridge Dental keeps their office open on Saturdays from 8AM until 12PM, so anything you encounter in the dental realm over the weekend can be seen by them. It may be a suddenly knocked-out tooth with your children or a throbbing in your teeth that you cannot figure out. Description: Discovering a weekend dentist in Lincoln, NE in a hurry is going to be something top of mind when you are suffering from the piercing pain of a toothache or some other dental ailment. Southpointe Dental understands this and opens its doors to patients on a walk in, after hours, or weekend basis. With Saturday hours and offering quality urgent dental care services, this clinic provides you with a wide range of options. Description: Cherry Hill Dentistry advertises that they welcome emergencies, so pick up the phone and call if your dental condition warrants immediate attention. They have two qualified dentists at this location ready and willing to help with any emergency dental situation you may face. Description: This Lincoln, NE emergency dental clinic can absolutely provide an immediate appointment if you are experiencing severe pain, and feel as if you cannot handle another night of throbbing and heavy discomfort. Description: Here you can get rid of pain brought on to you by infected teeth, potential abscesses, or have root canal therapy. Helping those with dental anxiety is another specialty of this practice, and they happily adhere to the challenge. Most emergency dental clinics offer routine appointments for cleanings along with less common emergency procedures. When you have an appointment with a Lincoln emergency dentist, you should gather your recent dental x-rays and any other records that you have, and bring them with you to visit your new dentist. Arrive at least 15 minutes prior to your appointment to give yourself plenty of time to ask questions about your treatment plan and to fill out the necessary paperwork. Ensure that your new dentist accepts your form of payment. Most dental clinics take credit cards, cash, personal checks, and even offer low-interest payment plans for more extensive dental work. Also, make sure that your dentist accepts your dental insurance. Bring a list of your current medications with you to visit your emergency dentist and let the dentist know if you are allergic to any medications. Common 24-hour dental emergencies strike when you least expect them. Some of the most common include a painful toothache or a chipped or broken tooth. 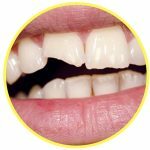 A lost filling or a loose or lost crown can also be a common dental emergency that might cause pain if left without dental treatment. When facing any of these prevalent 24-hour dental emergencies, you will want to make sure you have a Lincoln emergency dentist’s number on hand to help you out. Objects that are caught in your teeth can cause pain as they put pressure on the teeth and gums. Objects caught in teeth include food debris, small slivers of bone, or even wood from a toothpick. If you have an object caught between your teeth, first rinse your mouth with water and then floss gently between the teeth to remove the debris. Never use a sharp object like a pin to remove objects that are caught between the teeth. This can damage the gum or even damage the surface of the tooth. A chipped or broken tooth is the type of dental emergency that can happen at any time of the day or night. Use a cold compress to reduce swelling to the outside of the mouth, and to lessen the pain of the injury. If the tooth was chipped in a fall or car accident, visit your local emergency room to ensure that you have no other injuries. Press a piece of moistened gauze against any part of the mouth that is bleeding. Tooth trauma that is caused by an accident should always be addressed by an emergency room physician if the trauma originates from a fall, a car accident, or a sports injury. If there could be damage to any part of the body other than the teeth, it is important to be evaluated by a doctor. Trauma caused by an accident might include a broken tooth, chipped teeth, or even a tooth that is knocked out of the gum completely. You might require an emergency tooth extraction if your tooth is damaged or decayed beyond the point where a dentist is able to fix it. You might also need an emergency tooth extraction if your tooth is crowding other teeth in your mouth. Your dentist generally begins the extraction by taking an x-ray of the tooth and by performing an examination. Then, he or she will choose to use a local or general anesthetic to ensure that you are comfortable during the extraction. A special dental tool is used to break the tooth into pieces and remove it from the gum or to simply pull the tooth from the gum. Following the emergency tooth extraction, the dentist will use a special type of suture that dissolves, to close the gums. Then, the area is packed with a moistened piece of gauze to stop any bleeding. Follow the dentist’s instructions carefully following the tooth extraction to ensure proper healing within one to two weeks. Avoid drinking through a straw or eating solid foods for the first few days following the extraction. It is also important to avoid smoking or drinking alcohol following the procedure. Visiting the emergency room rather than seeing an emergency dentist is a great idea if your dental emergency stems from an accident like a car accident, a fall, or a sports injury. If you are unsure if you have head trauma or any other type of injury, visit a hospital immediately. Keep in mind that heading for the hospital with a simple toothache is probably not the best choice. Most hospital emergency rooms are not set up for dental emergencies. If you have a broken or chipped tooth, the physician in the ER cannot repair your teeth. You will often be given pain medications or antibiotics and then referred to a dentist to have your tooth repaired. Visiting a Lincoln emergency dentist for a toothache, an abscess, or any other dental emergency makes sense. Skip the long wait at the hospital emergency room and let your dentist determine the best way to fix that dental problem. Whether you are visiting for the weekend or taking a vacation to enjoy the sights, Lincoln emergency dentists are standing by to make sure that you have a comfortable visit to the city. If you are unable to find the one to meet your needs, call our hotline and let our experienced staff find the perfect emergency dental clinic for you. When choosing a dentist, it is always important to ensure that your dentist is licensed and certified in Nebraska. The American Dental Association’s website here: www.ada.org provides up-to-date information on dental licensing wherever you travel.